The “Tricolor” took advantage of their opportunities and was blunt, which served to keep the third place. 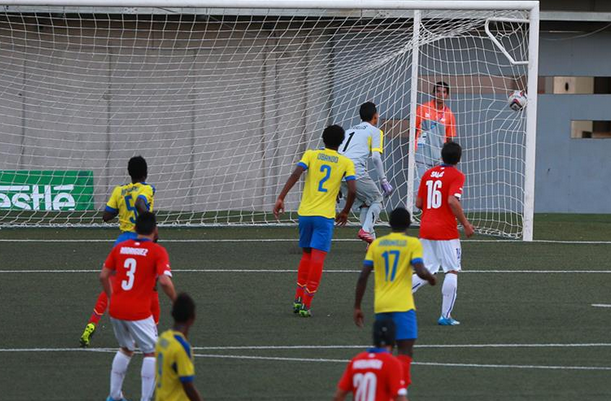 In the first twenty minutes, Ecuador came out to pressure Chile in its field, drowning the local set. But over time, the leaders of Alfredo Grelak were generating good play, especially through the midfielder Rodrigo Agurto and Felipe Molina. In any case, neither of the squads marked differences and went blank to the rest. And when it was played less than a minute of the second lap, the 2,500 people who came to support the “Red”, muted with both the Ecuadorian Jhon Pereira, who connected a center from the right and opened the account. Chile did not lower its arms and began to attack. Successive arrivals of Luis Salas (56 ‘) and Diego González (57’), both head-first, magnified the figure of the excellent Ecuadorian goalkeeper Jose Cevallos. However, the goal could not do anything before the great volley of Chilean defender Alonso Rodriguez, who scored a goal from outside the area at 72 ‘. When the home side dominated and Ecuador defended their arch, a splendid run came from Renny Jaramillo, who moved the ball by 20 meters and took an unmistakable shot from outside the area, decreasing the triumph for the “Tricolor”.